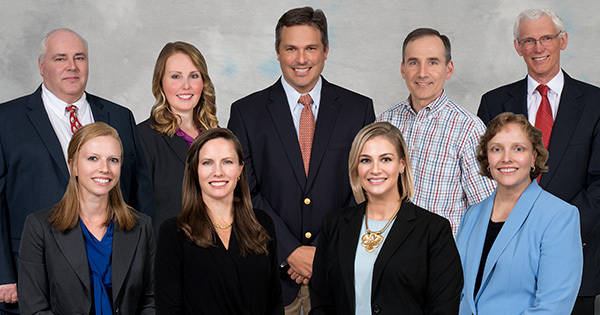 Founded in 1972, Catawba Women's Center (CWC) is the provider of choice for obstetrics and gynecology for the majority of women in the Catawba Valley region of western North Carolina. We are pleased that you have chosen to partner with CWC for your special healthcare needs. The specialty of obstetrics and gynecology is constantly changing. Operating as a group practice permits our professionals to stay up-to-date with new advances in our field. During obstetrical care, our patients have appointments with all of our professional staff; providing the reassurance of a “familiar face” at the time of delivery. Likewise, our physicians come to know patients both from a medical standpoint and as an individual. Most gynecologic care and surgical procedures are provided by the provider of your choice. As a large and diverse group, you do have the availability of other practitioners if your needs require other skills or if your provider is unavailable. We are also the only midwifery practice in the Foothills area that offers 24/7 midwifery coverage to our patients. Our midwives are committed to providing personalized care to each woman they encounter and have the skills and knowledge to facilitate healthy, normal childbirth. We offer full scope midwifery care including well woman care, adolescent gynecology and obstetrics. Our midwives collaborate with our obstetricians, pediatricians, and other specialists during your care when the need arises. In addition to our professional staff, CWC employs nursing, ultrasound, laboratory, and an office staff second to none. All of our employees are dedicated to providing excellent patient relations and services in a friendly, caring manner. Our goal is to provide the best medical care available, in the most relaxed and comfortable atmosphere possible. We realize women have special medical concerns and needs, and we intend to meet them in the most acceptable way, both medically and financially. At Catawba Women's Center, we believe that when it comes to quality care, it's about choice and providing what is right for you – "Caring for a Lifetime". Rest assured that all our team does just that. Our qualified staff consists of nine physicians. In addition, we offer Catawba County's only private midwifery practice, advance practice providers and a staff of experienced and friendly nurses, medical assistants, technologists and administrative staff. •et; Listen to Dr. Highland talk about the Advantages of Our Practice. In office Mammograms now available. Find out more about The Center For Women and Children at Catawba Valley Medical Center. Sign up for Pregnancy and Parenting classes at Catawba Valley Medical Center. Notice to Patients about new prescription limits. If you have a life threatening emergency, call 911 or go to your nearest emergency room. If you need urgent medical attention after regular office hours, call 828.322.4140 and the physician on call will be notified.